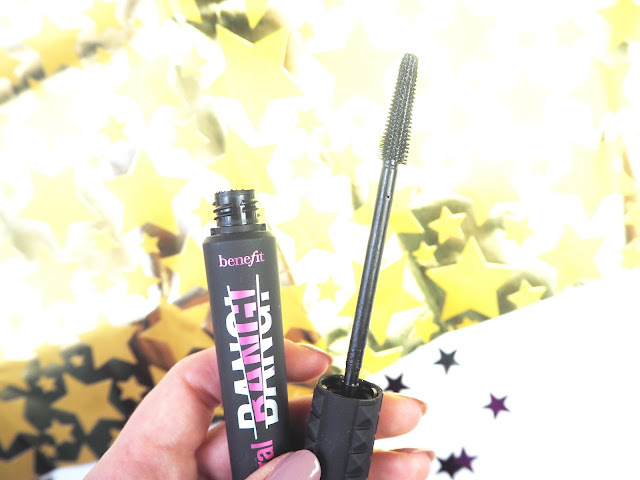 You may have noticed a pretty big launch from Benefit recently. If you somehow missed it then they have expanded their Bad Gal Mascara range with Bad Gal Bang! I've been testing it out for a week or so now and couldn't wait any longer to share my opinion on it. 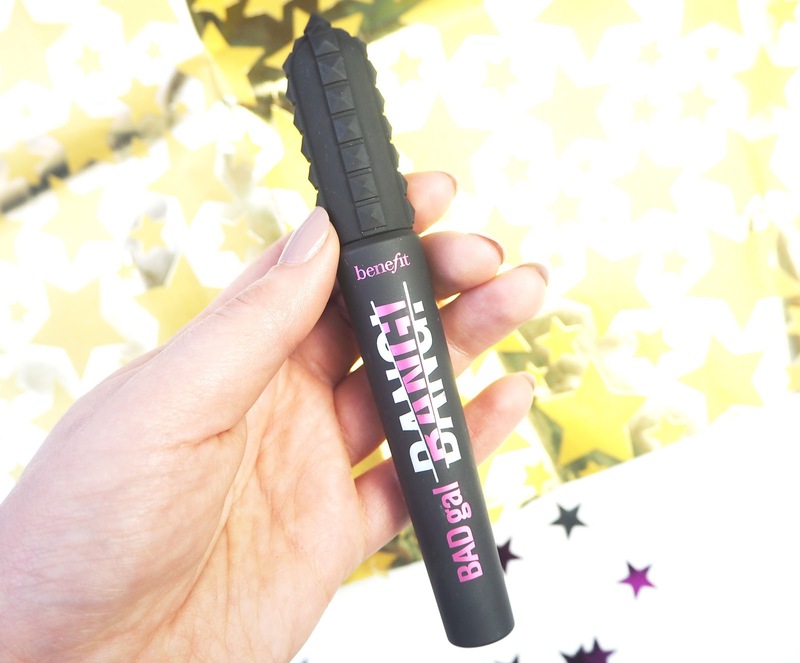 Benefit are known for their mascaras, there's no denying that. They're Real and Roller Lash are insanely popular and of course not forgetting the original Bad Gal. In fact the Bad Gal Mascara was one of the first products I ever bought from Benefit back in the day. This mascara will set you back £21.50 making it their most expensive. Usually I don't spend that much on a mascara, I find drugstore ones do just as good job for half the price, but every now and again I will splurge on a high end one. I also fortunately had a £5 voucher on my Debenhams Beauty Card so thought 'why the hell not?'. The packaging is black with a rubber feeling and features silver and pink writing down the front. The lid has a funky studded detail to it which I assume is meant to be a nod to the space theme. Personally I like what they've done with this, its similar to the original Bad Gal mascara with the pink and black theme but its definitely had an upgrade. The wand is very slim and tapered at the end, its designed that way to reach every single lash. I've found the application to be so easy when getting in to all the lashes and it definitely adds an insane amount of volume. I do find that it can look a little clumpy but the more I've used it I've picked up the knack of getting it to look good, I make sure I really wiggle the wand side to side as it separates everything out. I also agree that it gives a good curl and adds some length too. There's no denting that the end results looks amazing, in fact I've had people ask if I have false lashes on since I've been using this. I've even skipped falsies on nights out as they just haven't been needed! Unfortunately I do have a couple of problems with this, which is so frustrating! So, it claims to be smudge proof and water resistant.... I don't agree with that. I haven't had smudging as such however I have had pesky flaking and it happens after having it on for about an hour. Also I have pretty watery eyes, especially recently was its so cold outside and it doesn't stand up against them. On a few occasions I've had to redo parts of my make up as the mascara has streamed all down my face. Overall I love the look it gives but the flaking and how easily it moves when my eyes water is such a fail for me. 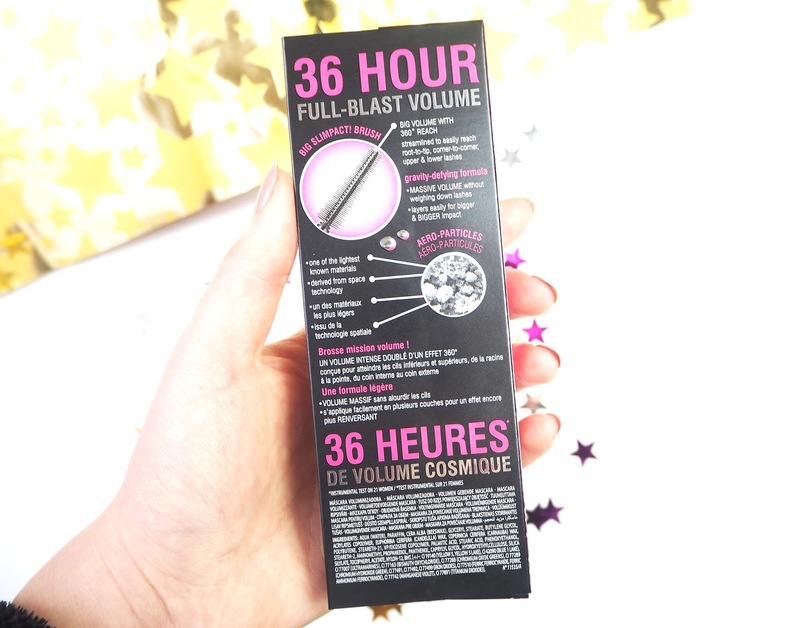 I'm not sure I would rush out to repurchase this when its gone but its a tricky one because I do love how it makes my lashes look! I love how they look so much it almost makes me overlook the couple of issues I have with it. What did you think of this mascara? Did you have the same issues with it that I had?